​For many homeowners, balancing comfort and savings is a challenge. Improving the comfort of your home and minimizing your utility costs, reflective window coatings are able to help reduce heat gain and glare from the sun. Often, homes with many west, east, or south-facing windows are subject to the "greenhouse effect," where sunny bright rooms quickly turn into unbearably hot greenhouses. Reflective glass films are simple, cheap, and cost-efficient additions for all styles of glass and windows—including double and triple-pane—and can quickly pay for themselves. Read on to learn more about reflective glass film and what to look for while shopping for these window coatings. 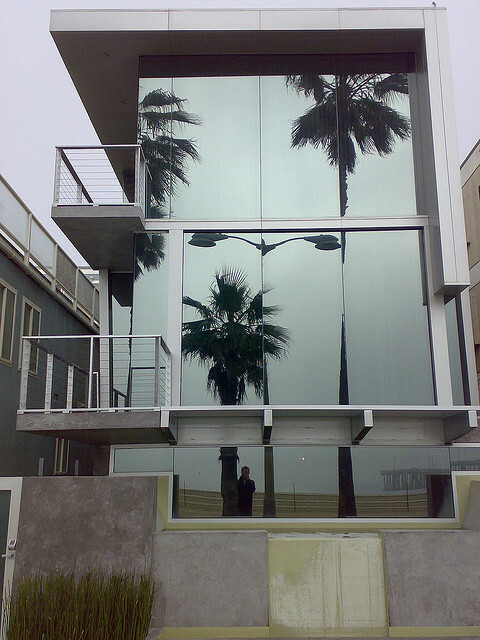 What is Reflective Glass Film? Reflective glass film, or reflective glass coatings, for the windows and other glass around your home and car comes in several different varieties, offering homeowners plenty of options to match their individual needs. Insulating reflective glass film reflects the sun’s heat in summer and minimizes your home’s overall heat gain, keeping your home cooler and reducing air conditioning costs. An insulating window film is also able to retain up to 55% of your home's heat in winter, which means that your home will stay warmer. This type of reflective glass film can also help eliminate color bleaching and other sun damage to your home's furnishings by reflecting as much as 99% of UV (ultraviolet) light. Like insulating window coatings, glare reducing static-cling glass films are made to also block 99% of UV rays. This type of film is also removable and reusable. Although they allow infrared light to pass and consequently allow for more heat gain, glare reducing films can still be used to minimize television and computer screen washout. This means that you will be able to easily work on computers or other electronic devices in a light-filled room. When shopping for reflective glass film for your windows, there are several critical terms and values to know. For instance, a film's total solar energy rejection (TSER) measures the film’s ability to keep infrared heat, UV rays, and visible light from entering your home's interior. The higher the number, the more effective the film. Additionally, a reflective glass film's visible light reflectance (VLR) measures the percentage of visible light reflected by the window film. The larger the number, the brighter and better the window will be. A glass film's visible light transmission (VLT) measures the lightness of the film. This number will be lower with darker coatings. In finding a reflective glass film with a VLT around 50%, homeowners can potentially give their home an equal ratio of visibility and glare. Finally, the film's UV radiation rejection will reflect how well your home is protected from the sun's ultraviolet light. The film's shading coefficient gives homeowners an idea of the overall heat reduction after adding reflective glass film to their windows. Generally speaking, reflective glass film with a shading coefficient of .5 or lower is recommended for the home. Summer and its warmer weather can make it challenging to keep your home cool and comfortable. Fortunately, with the help of reflective glass film for your windows, you can reduce energy bills and maintain your home's privacy. Reflective glass film is a cheap and simple to fix common problems with windows today.